Opal + Wonder: Happy Father's Day, Bad-Weather. 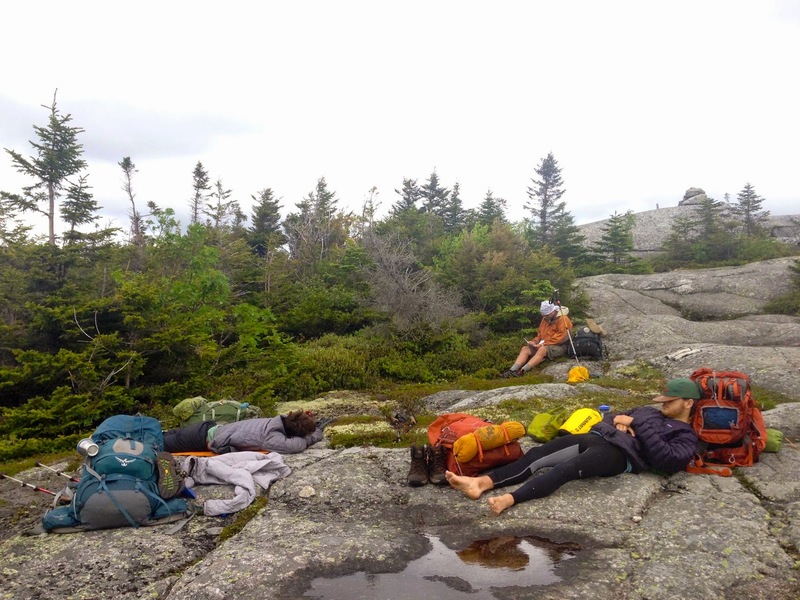 Today the East TN Tribe of 5 enjoyed lunch and a nap on Moxie Bald. I can imagine this felt great to them all after what sounded like a rough stretch of 18 miles knocked out yesterday. I am sure there will be more details and stories on that trek to come, but from what I hear it was full of rain and stream crossings surpassing Amber's waist! Crazy. Mom and I, were able to wish dad a happy Father's Day over the phone, and hear that all were doing well. Fact: I have a trail-dad. One whom is currently walking south for 2,000 plus miles, finding adventure in the wilderness, and taking in glimpses of God's glory through creation all along the way. More specifically, I have a trail-dad who, when in the woods, goes by the name of "Bad-weather." (Try topping that for third grade show-in-tell). Today was Father's Day, and considering my dad has taken on the Appalachian Trail, our usual Cracker-Barrel celebration date has been post-poned for a couple months, or so. As a result, it was all-in-all a day no out of the ordinary as another (although, I did enjoy more time with my sweet mother, which I am always thankful for). Out of all the Father's Day I have celebrated, this year I am the most grateful; and I don't know whether to call it sad, or not, at the fact that it took these weeks away from him to see it all. We laugh because I have somewhat stepped in to handle all of dad's regular house care and errands while he's gone- and let's just say I fall quite short of them all. My mowing may be getting better, and I hope to throw the trash in the right dumpster next time, but there is still so many obvious areas that show momma and I are missing our chief. If you know my dad, you know what joy he is to have around, the laughter he can bring, and the deep caring heart he has that always makes you want to be a better person. At church this morning we sang the beautiful, and so fitting, hymn of "Higher Ground." The piano began to play, and momma leaned over and said, "This always reminds me of your dad." She could not have been more right. This is my dad's heart. 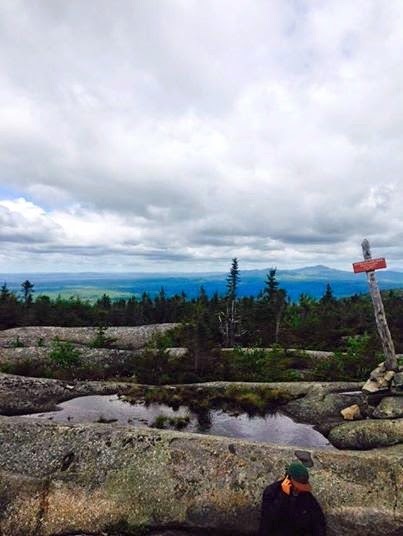 From what I understand, the Appalachian Trail is just as much as a spiritual journey as it is physical. Momma and I have many different jobs on the home-side of the AT journey, and that includes prayer, and lots of it. As long as this journey continues, as will our prayers, and today this song became just that. How wondrous God must look from the top of Mt. Katahdin, how beautiful He must sound through the falls and wildlife, and how refreshing He must feel through the revealing of His glory in every step. The key point is that none of this could/can be experienced without the pursuit of "new heights." Higher ground is found by scaling the "utmost height." Doubts and fears are inevitable in this life, so in order to catch that gleam of glory bright, we must stay onward bound. I have a trail-dad, and his aim is higher ground. Happy Father's Day, Bad-Weather. I pray this hymn comes to your mind every new height you reach.